Check out Tobi's With Grace Floral Print Dress Tropical print dresses: not just for summer. The Blush With Grace Floral Print Dress is a tropical dress with a deep v neckline, slender straps leading to a low back, and a flared skirt with thigh slits. Garden party dresses, here we come. Tropical print dresses: not just for summer. 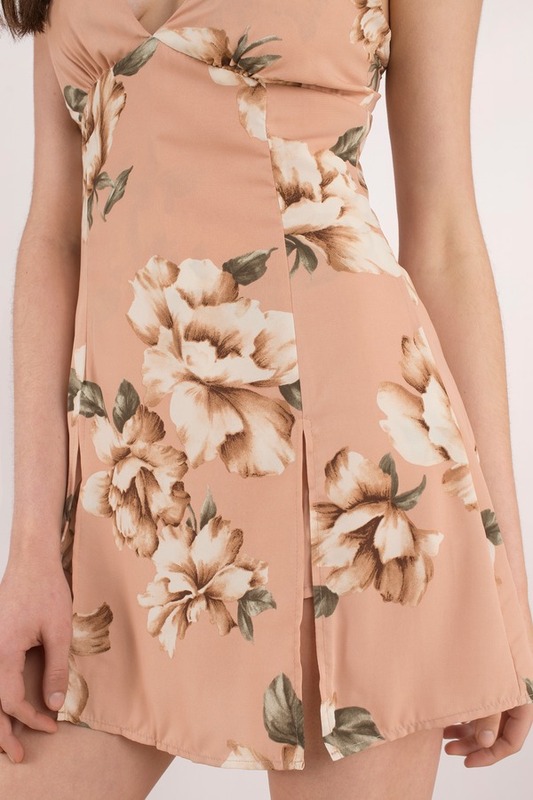 The Blush With Grace Floral Print Dress is a tropical dress with a deep v neckline, slender straps leading to a low back, and a flared skirt with thigh slits. Garden party dresses, here we come.